The field of manufacturing is fast-paced and constantly in flux. Trying to manage that data physically means that you could be missing out on crucial business information, and that information could help your organization manage business procedures more strategically. Pressure to increase production levels, reduce costs, make better use of information regarding facilities, and maximize the effectiveness of the supply-chain are challenges in the industry. Robotic Process Automation (RPA), like MetaViewer, can provide relevant information and on-demand status to all business processes, ranging from order management to inventory control, fulfillment and accounts receivable. 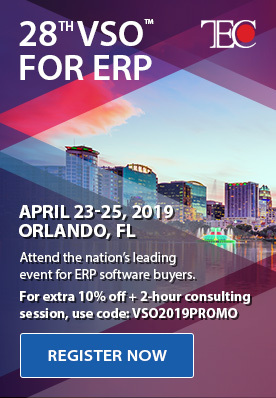 It’s also crucial for streamlining data and optimizing additional business technology investments, like your Microsoft Dynamics ERP. For companies that are looking to fix their paper problem, implementing RPA and integrating it with an existing ERP offers an automated solution. You’ll see yourself using less paper and increasing efficiency, time savings and visibility of invoice processing, in addition to greater access to data. 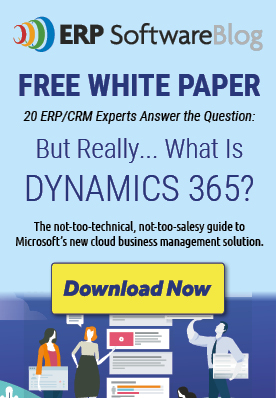 And managers can, if needed, keep a closer eye on employees who are responsible for getting vendors into Microsoft Dynamics and whether those tasks are getting done correctly and on-time. This also means that companies can decrease the number of employees doing a certain task. RPA also helps companies improve relationships with vendors by speeding up processes that allow them to get paid faster. Nothing makes a vendor happier than getting a check in the mail on-time (or even early)! Additionally, workflow software captures and indexes the influx of information constantly coming into organizations, whether it’s vendor data, customer data, product info or data you didn’t even know existed. Without the right tools to capture this unstructured data, you may be allowing pertinent information disappear without ever having the chance to take advantage of it. This lost data could be the key to helping you make more strategic business decisions. While RPA is a great asset in any industry, we feel confident that those in manufacturing will see substantial ROI and benefits from implementing a system like MetaViewer. In fact, one MetaViewer customer within the manufacturing space experienced significant gains in productivity and visibility with RPA. What did they get? All of the above, and more. Landscape Structures integrated MetaViewer with their Microsoft Dynamics AX system and experienced a 30 percent increase in overall efficiency. Additionally, they no longer print, scan and copy invoices or worry about invoices getting lost on approvers’ desks. The team has become more confident that processes are faster, more accurate and paperless. They now have greater visibility as to where invoices are sitting in queue and no longer having to wonder what is waiting for approval. The integration also had very little interference on their existing Microsoft Dynamics AX infrastructure. Another place that Landscape Structures has seen ROI is in staffing. Despite their growing volume of invoices and overall business, they are able to maintain staffing levels because their automated solution and AX have picked up the slack. No matter the industry - whether it's manufacturing or healthcare - a solid document management system and integration plan can help companies operate more efficiently and increase ROI across the entire enterprise.